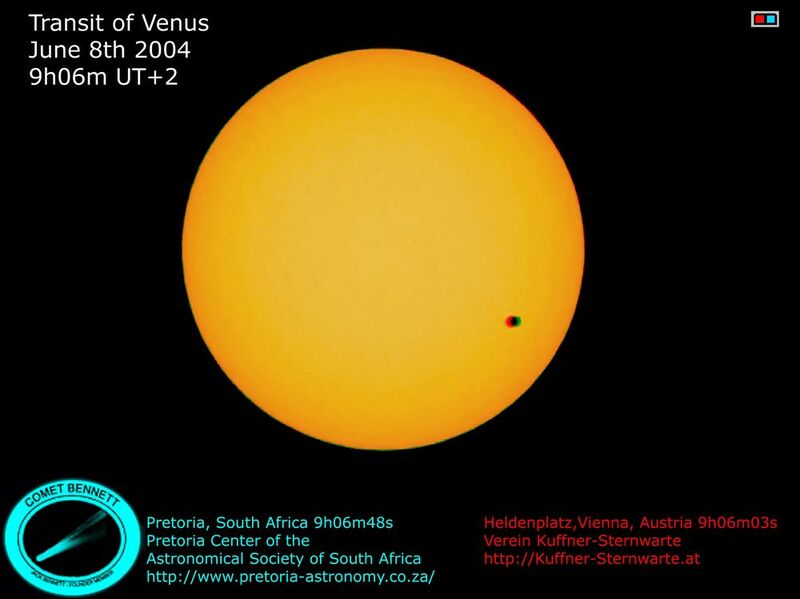 Verein Kuffner-Sternwarte and Pretoria Center of the Astronomical Society of South Africa combined their two Transit-Webcasts from Heldenplatz (Vienna, Austria) and Pretoria, (South Africa) to show the Venus parallax in 3D. Webcast-image-series were aligned so that the transit tracks are parallel. 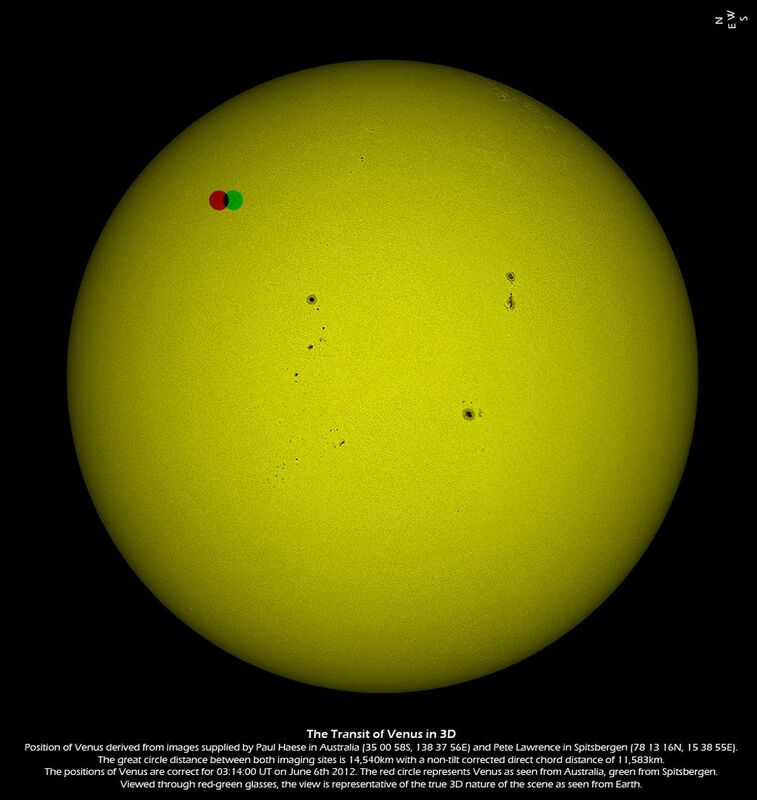 The individual images were shifted and scaled so that the images of the Sun overlap, and finally the parallax of Venus was aligned such that it is parallel to the eye's parallax. The result is a 3D-anaglyph to be viewed with red/cyan-goggles. N is appr. to the right, the left-right direction is parallel to the line Vienna-Pretoria.